Your furry friend deserves the safest and best chew toys on the market. While there are many chewable toys to choose from, not all of them are safe and there are many that dogs simply do not like. When you are looking for the best chew toys for puppies, it’s important to find ones that won’t hurt your dog, will stimulate an interest and will be good for his teeth. 0.1 Why Are Chewing Toys So Important? 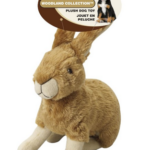 0.5 Stuffed Animals – A Best Friend for Your Best Friend but Not a Chew Toy! 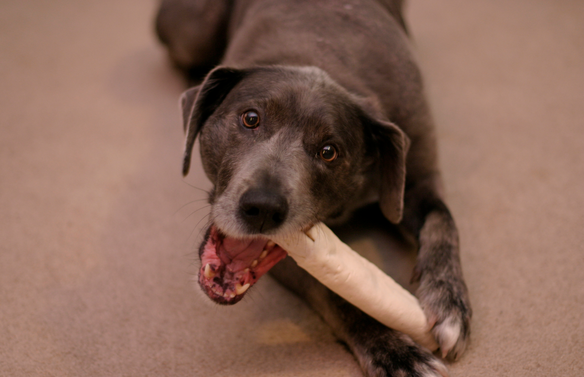 Why Are Chewing Toys So Important? Puppy chewing toys aren’t a luxury for your dog; they are an absolute necessity. Not only do they help your little guy stay amused but they also help with training and teething. If you’ve ever had kids you know what a difficult time it is when a child is teething. It’s an unbearable constant nagging pain that simply doesn’t go away until the tooth erupts. Your dog is feeling the same type of pain and doesn’t know how to handle it. Your job is to provide him with chew toys that will help the teeth erupt and at the same time give him some relief. If you don’t supply your puppy with chew toys, his only alternative will be to gnaw on other things in the home. The legs on your table, coffee table, couch and even your own legs will be fair game to a puppy that just wants to make his mouth feel better. He isn’t trying to do anything bad – he’s just looking for relief. The best chew toys for puppies will help to soothe his aching gums while distracting him from the constant discomfort he is experiencing. There are many different contributing factors in terms of dog toy safety. If your dog is a large breed, for example, he could potentially choke on a smaller toy that would be more appropriate for a poodle. Any toy that you select should be size appropriate for your puppy and keep in mind that balls can easily be swallowed or get stuck in your puppy’s throat if they are too small. These are some of the best chew toys for dogs and that you can choose and most little doggies really love them. The Kong® toys are an example of this toy type. You can find these puppy chewing toys in different sizes and shapes. They can be chewed or your dog can carry one around with him proudly as he goes for his daily walk. Some owners provide their dog with a special toy of this type that is only used for walking. If you find that your dog gets easily distracted when you’re out and about, especially when he sees other dogs coming down the street, you may just find that walking with a chew toy in his mouth keeps him focused during the walk. You can find a list of Kong toys here. Things can get pretty interesting when you decide to fill these types of toys with food. Most puppies find it absolutely fascinating to see and smell something inside their toy. A lot of dog owners that have to leave their puppies at home while they go to work don’t know what they would do without these toys. It’s easy to fall in love with those cute squeaky toys sitting on the shelves at your local pet store or online. You can just imagine how much your furry friend would love that bright yellow squeaky duck toy for dogs. You’ll need to think twice about buying one though. Your puppy may enjoy these types of toys and make it a game to bite his way towards the squeaker in the middle. Once he makes his way to the squeaker he may want to gobble it down. Many veterinarians have had to clear some time in their busy afternoon schedules for an emergency appointment for a puppy or full-grown dog that has swallowed a squeaker. While the squeaky toys may be fun and you may enjoy them just as much is your puppy does, they should only be offered during supervised play times. Stuffed Animals – A Best Friend for Your Best Friend but Not a Chew Toy! Some puppies can be given a stuffed animal to love while others will have to do without. If you have the type of puppy that needs to chew a stuffed animal apart to bits and ends up with some of the stuffing in his throat, you’ll need to give this type of toy a pass or find a stuffed animal made for dogs. You won’t really know whether a stuffed toy is appropriate for your little friend until you try it. A stuffed animal can be a great comfort but are not good chew toys for puppies. If you want to give your puppy a comfort toy but a stuffed animal won’t do, you can substitute it with a blanket, a towel or one of your older T-shirts. 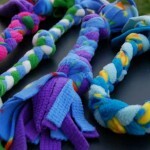 Rope dog toys are a great choice for growing puppies that need to chew constantly. Many of these rope toys come in a bone shape with a knot at the ends. If you stick one of these toys in the freezer overnight it will provide cooling relief for your dog’s teeth the next day. 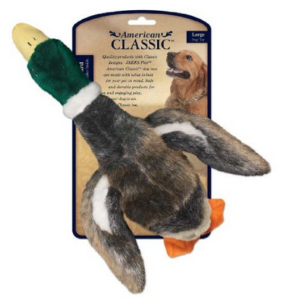 Just make sure that you purchase a high quality toy that has been made specifically for dogs. A low-quality rope toy will easily fall apart and can leave fibers in your dog’s throats. These fibers, making their way into a puppy’s intestines, can lead to major complications. For this reason, never, ever give your pup one of your household ropes to chew on. While rope toys can be used as a chew toy, don’t ever allow yourself to engage in a tug-of-war game with them. Your little friend probably doesn’t realize his own strength and could damage his teeth or actually knock one out with this game. While he is getting his teeth he needs to engage in chewing motions but not pulling motions. There has been a lot of controversy about the safety of rawhide lately so we suggest that you talk to your veterinarian before purchasing this type of chewing stick for your young pup. While some owners believe that these are the best chew toys for dogs, these sticks do offer a potential choking hazard. 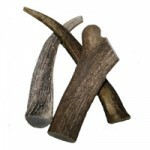 As an animal lover, you should also be aware that many of these rawhide treats come from inhumane global fur trading. Your puppy would probably not agree with the rawhide chewing treat if he knew exactly where it was coming from. We suggest Bully Sticks as an alternative. If you are looking for a new toy for your puppy right now either online or at your local pet store, your safest bet is always a hard plastic toy. Your dog will love it, you can buy fillable toys, you can freeze them and they will virtually last forever. These are by far the best dog toys for labs, poodles and everything in between. If you purchase a hard plastic toy and find that your dog doesn’t take to it right away, don’t despair. Every dog is going to have his own preference and it just may be that the toy you chose for him is not the right size or shape. Try to find another plastic chewing toy that is more to his liking. You may even want to try some of the hard plastic toys that are chicken or beef scented. This tantalizing toy may spark a whole new interest in your puppy’s toy preferences! Keep in mind that your puppy is going to be exploring the wide world around him through his mouth at the beginning. It’s crucial that you get him chewing toys right at the beginning and continue to provide them throughout his life. Use them as a part of interactive play with games such as hide-and-go-seek to create bonding moments between you and your best friend. As well, to make sure that your puppy never gets bored with his toys, rotate them once a week. 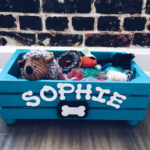 If he has a favorite toy or stuffed animal, however, or a special toy for his daily walks, this should be kept available at all times in his doggy toy box. 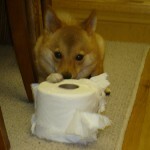 After all, a happy, healthy little doggie is always the end result when you’re choosing the best chew toys for puppies.